If your car breaks down, you hire a mechanic. 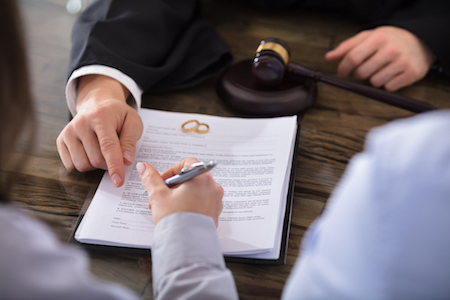 If you need to get a divorce, you work with a divorce lawyer. It can be a tempting thought to try to save money by cutting some corners, but working together with a divorce lawyer is essential to protecting your rights and making sure you can recover financially and emotionally after your divorce. So let’s break down what a lawyer is actually responsible for during your divorce. Divorce can be complicated. With so many different things to consider, you’ll be thankful that your lawyer starts by preparing an overarching plan and an approximate timeline. This sets clear expectations so that you can be sure you are making progress with your case. In some cases, it may be necessary to bring in a third party expert or witness to support your case. Whether this is a friend or acquaintance who can confirm your version of a story or an expert who can provide an objective perspective on traumatic events. In these situations, your lawyer will be valuable in helping to arrange all the details and also in preparing witnesses on key case details. The finances often play a central role in divorce. Organizing and understanding all this information can be a monumental task — but one that your lawyer will be able to help with. They will act as your representative in getting and verifying financial information provided by your spouse. This is an important role, as missing or forgetting to include some assets in the property division process could be incredibly costly. Your lawyer will act as the go-between, communicating with your spouse and their lawyer, as well as relaying important messages to you in a timely manner. This ensures nothing slips through the cracks and gives you valuable headspace to focus on the big picture. With all the turmoil of a divorce, it’s easy to feel overwhelmed. Your lawyer will be available to help make sense of everything, keeping you aware of what needs your focus and making sure you meet all deadlines. Whether the results are what you were hoping for or not, your lawyer will help advise you on the next steps to take. This may mean filing an appeal, in order to try to reverse a critical component of the case, or it could be giving you recommendations on resources to access. If you have any questions or concerns, feel free to contact the family lawyers at Epstein & Associates to set up your complimentary consultation!